The wildlife and surroundings of Lake Erie are the inspiration behind the By the Rivers of Buffalo pokie from Games OS. This is a game that has numerous animals from all around the area including the bison. The game also has some totem poles and gold coins that will especially add more to the game, thus giving a player a chance to get a much better winning total. The 5×4 By the Rivers of Buffalo slot uses 50 coins on each spin and can include bets of as little as 50 cents on each one. This game uses many symbols but the animal ones are the most important. The bison is the key one as it not only pays out the most on the game but also has a stacked design. This will cause the player to get two or more of these together on the same reel depending on what shows up within the game. This game does have totem poles all around it. These are the wild symbols that will replace anything other than the scatter symbol. Speaking of which, the scatter symbol on this game is the gold coin symbol. 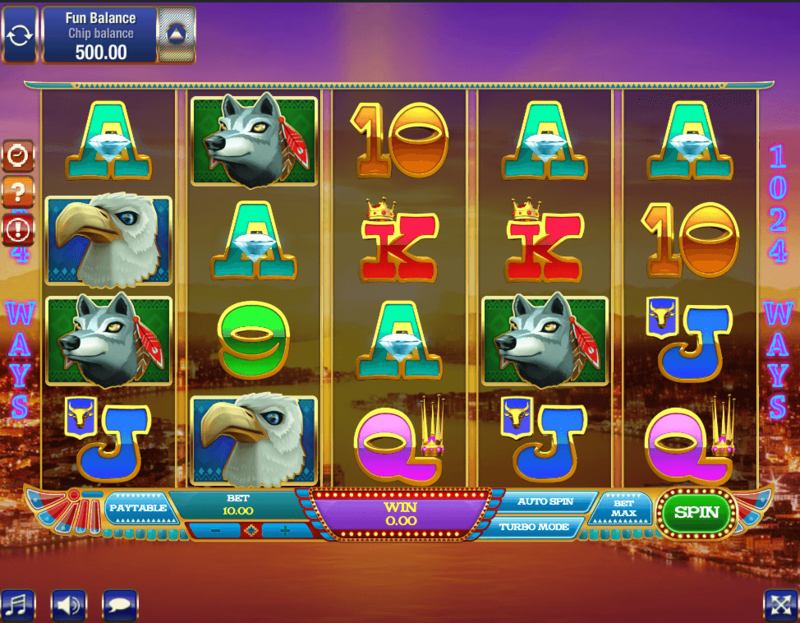 This will give the player a large payout through free spins. Specifically, the plater will get free spins when at least three of these show up on this pokie. This game does not have any traditional lines either. A player can get 1,024 ways to win on this poker machine. The totem pole does more than just replace most symbols. It also doubles winning spins that feature the totem pole on it. This can work for any particular combination that shows up. Meanwhile the free spin feature will include at least seven free spins with the total number of these spins going up depending on the number of gold coins that appear on a single spin. In addition, the player will have the chance to get the feature retriggered at any point. The retrigger feature will come with a multiplier. Depending on the initial bonus and the new bonus that appears, a player can get up to five times the payout on each free spin with the multiplier. This will work for all of the free spins that appear following the retrigger feature being activated. This game can be easily compared with others that feature similar bonus wild features like the Maverick Saloon poker machine. The By the Rivers of Buffalo game also has some stacked symbols that are similar to what is found on the Zeus 1000 slot. The By the Rivers of Buffalo poker machine is currently available for play at the Jackpot Paradise casino. This is a popular online casino that has some exciting bonus features for new players including some deals where a player can get up to $200 in free money for gaming upon a first deposit. The selection of games at the Jackpot Paradise casino is especially varied as it features many new poker machines that are added throughout much of the year.